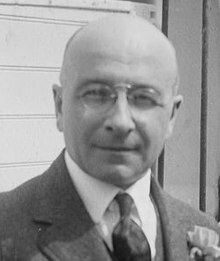 Alexis Carrel (28 June 1873 – 5 November 1944) was a French surgeon. He won the 1912 Nobel Prize in Physiology or Medicine, for his work on joining blood vessels and the transplantation of blood vessels and organs. ↑ "Biography of Alexis Carrel". The Nobel Foundation. Retrieved 2009-01-05.